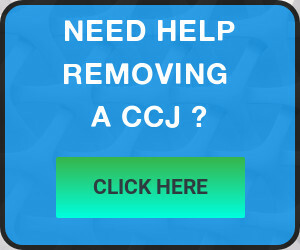 Is Getting a CCJ Set Aside the Same As Getting it Removed? I was asked recently whether getting a CCJ set aside is the same as getting it removed from the credit record. The two terms are often used interchangeably but do they mean the same? 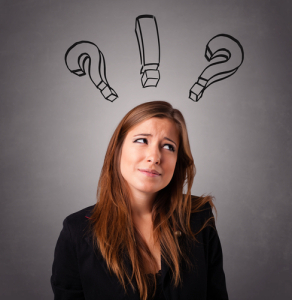 This blog aims to throw some light on what can often be a confusing subject. What exactly does the CCJ need to be removed from? A CCJ is a County Court Judgment. When a court issues a CCJ as a result of the defendant failing to respond to a claim, this is known as a default judgment or a default CCJ. A register of default CCJ’s (and other judgments) is kept by the Registry Trust who pass the information on to credit reference agencies such as Equifax or Experian. Prospective creditors, such as a mortgage lender, then carry out credit checks through the credit reference agencies. If the check reveals a CCJ, you are far less likely to be offered credit. In order to clear your credit record, the CCJ needs to be removed from the register. It’s not enough to pay the judgment because it will still remain on your record for six years (unless you pay within 28 days). So how do you get the CCJ removed? The CCJ will be removed from the register if the court sets it aside. The court has a discretion to set aside a default CCJ in appropriate circumstances. Usually, the defendant needs to show that there is a real prospect of successfully defending the claim or that there is some other good reason why the court should set it aside. If the CCJ is set aside, the court will electronically notify the Registry Trust. The Trust will update its records and in turn the credit reference agencies will update theirs. Although the Registry Trust say the process can take several weeks, our experience is that the updating process happens almost instantaneously. Are there any other ways of getting the CCJ removed from your credit record? If you pay the CCJ in full within 28 days, it will be removed from your credit record. Please be aware that if you pay it more than 28 days after the date of the order, the register will be updated to say that it has been satisfied. However, the CCJ will not be removed. The other way to get the CCJ removed is to wait six years. All CCJ’s are automatically removed from the register after six years, whether or not they’ve been paid. Can a Bailiff Still Take my Goods if I have Applied for the Default Judgment to be Set Aside? Can a Default Judgment be Set Aside by Consent? Can a Default Judgment be Set Aside if I Didn’t Receive the Claim Form?